As a homeowner, you have the option to tap into your home's equity and borrow money using it as collateral. This is called a home equity loan, but is also known as a second mortgage since it is in addition to the actual home loan. 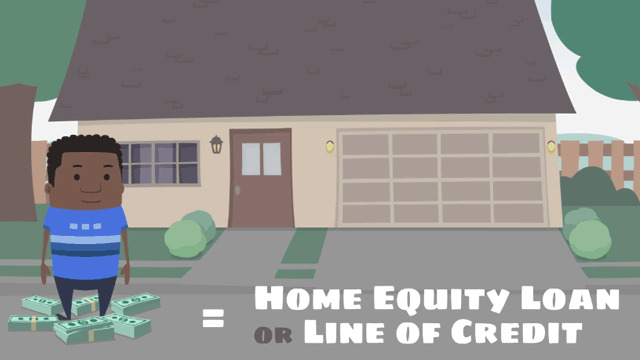 The home equity loan allows you, as a homeowner, to borrow money while using the equity on your house as collateral. The lender advances the full amount of to the loan to the borrower, and it is paid back with a fixed interest rate over the term of the loan. This is sometimes referred to as a second mortgage, because it is a new loan using the same property as collateral. It’s important to understand what equity is, before borrowing money against it. Equity is the difference between what your home is worth and what you still owe on the mortgage; it can be seen as a percentage of the property that you own. In most cases, lenders prefer that you own at least 20% of your home before applying for a home equity loan. Home equity loans can be very beneficial. The interest you’re paying on the loan is tax-deductible—unlike the interest on credit cards—which is why so many homeowners use them to pay off their credit cards. The interest rate is also lower than most other personal loans, which is why people use home equity loans for large expenses like renovations, medical expenses, or tuition payments. Even though it works similarly, this is not a replacement loan for your mortgage. You are liable to make payments for both loans, or you risk foreclosure on your home.